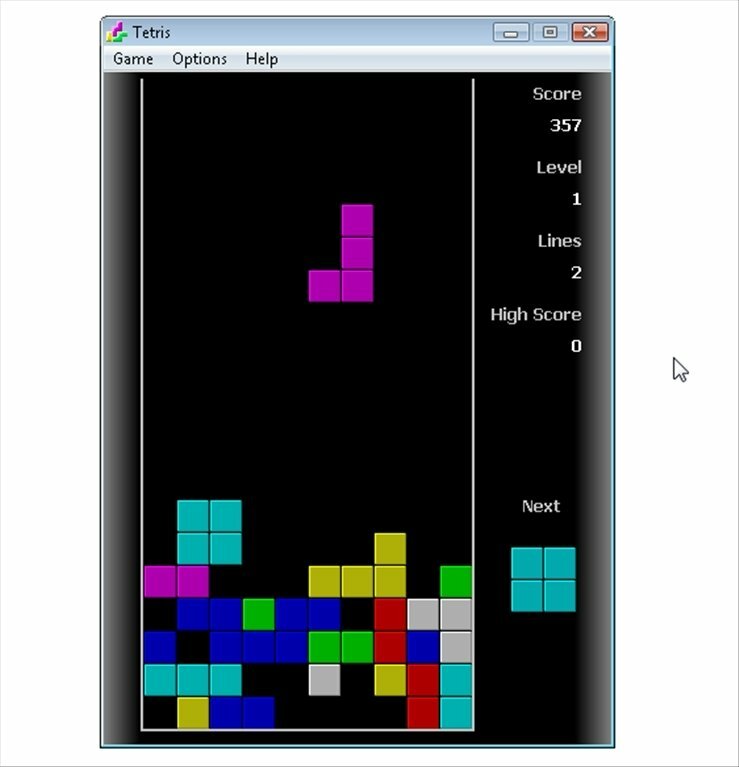 Tetris is one of the most popular video games of the 90s'. 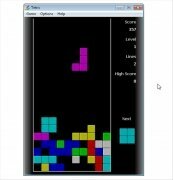 This version of the classic Tetris for PC is very simple as it avoids unnecessary aspects so that we focus on the most important thing: the game. Based on the original idea of Alexey Pajitnov. 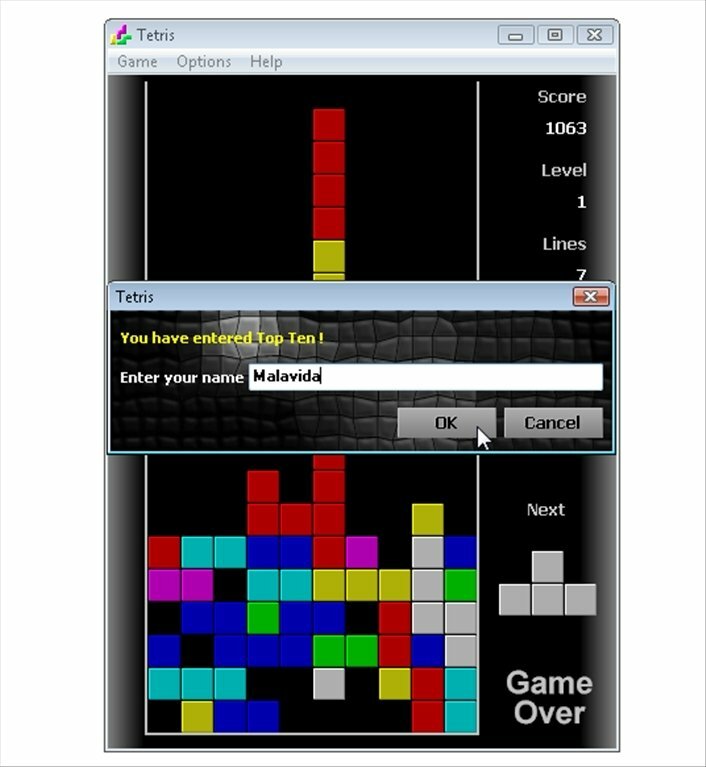 The game is simple: choose the level of difficulty and how many rows to start with. 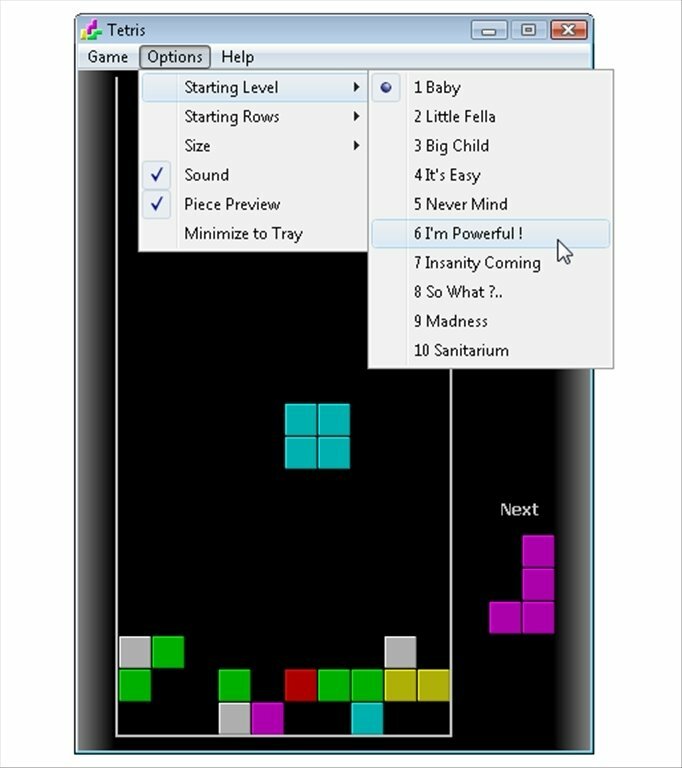 Tetris will release geometrical pieces with different colors and shapes from the top of the screen, and you have to make them fit in and build rows, rotating the shapes to your convenience. 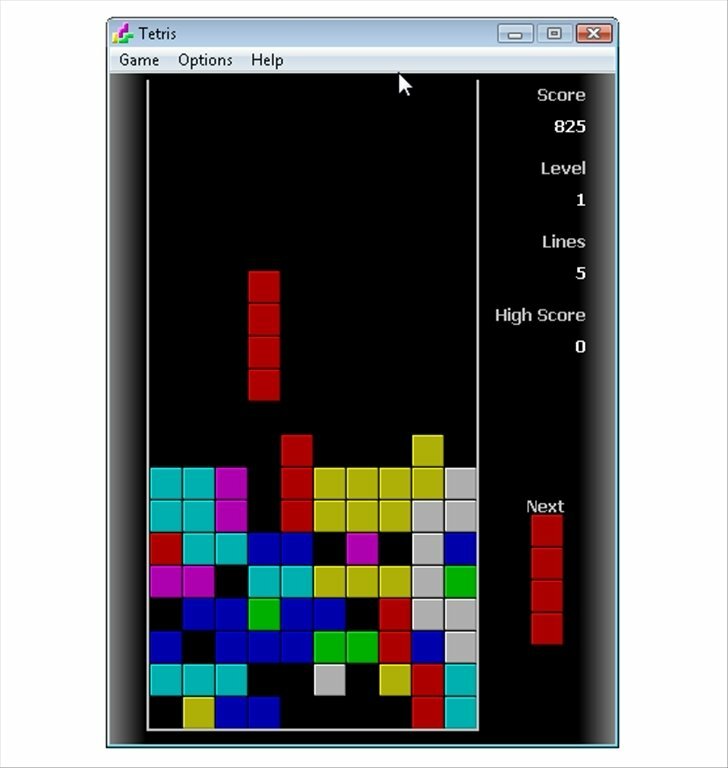 When a horizontal row is completed it disappears, and the rest of pieces fall one position. 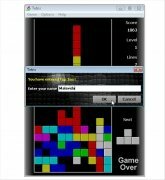 As we increase our level, the pieces will be released faster, and the difficulty grows. Adapt the size of the window. 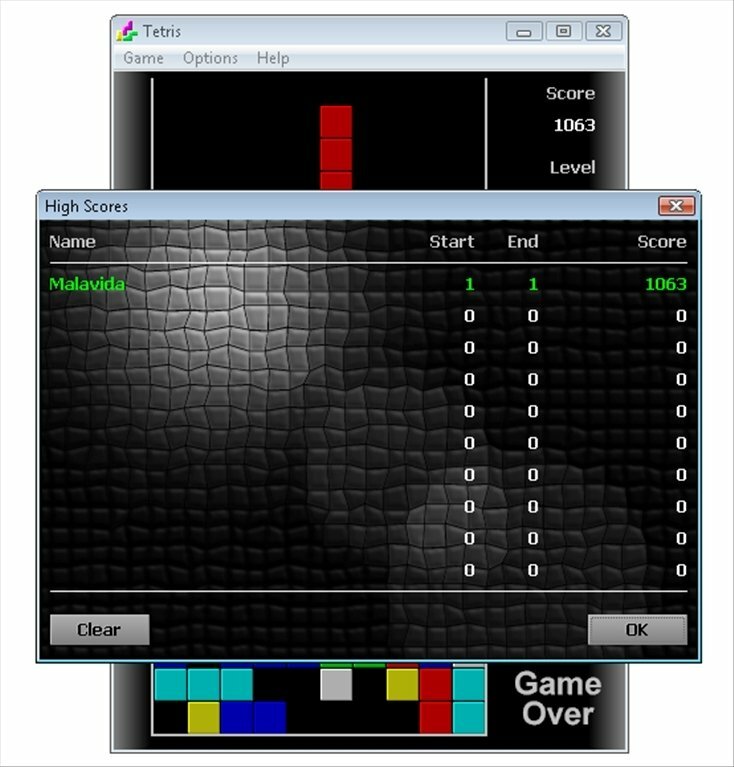 Check the high score ranking. Configure the initial level of difficulty and the number of rows. 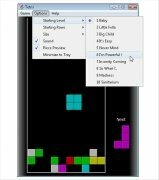 Enable or disable the preview of figures. 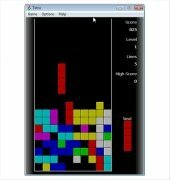 Enjoy one of the classics of the video game world once again by downloading Tetris free for PC.